Now that the game is in English, maximize your kitty time with this helpful guide! For the longest time, Neko Atsume was a Japanese-only cat sim with plenty of adorable felines but no real way to play the game properly unless you spoke Japanese (or used a guide to figure out what was going on.) Now the game's got an English release and I'm absolutely eating it up. It's absolutely free, and has additional cats, items, and more remodeling options. If you want to hang with the cool cats, check out these tips and tricks to get you on your way. Pile up more gold and silver fish. Gold and silver fish are important resources to have since you'll need them for the bigger and better toys, foods, and other items available in the shop. You don't have to necessarily pay for them to get more, as there are ways to get free gold or silver fish. Once you open the app, check out the News button. A screen will pop up with a "daily password." Jot it down, go out of the menu, and click on "Other," then "Connect." The "Input Password" button will allow you to type in the password you just got and net a big fish bonus. You can do this every single day to rack up even more fish so eventually you'll have the most real estate for your kitties you can get. Kitty mansions. You can earn your own fish in addition to getting bonuses. In fact, you get it for free when cats play with the items you have out for them. Some of the cheapest toys you can splurge on are the red rubber ball, yellow ping pong ball, and the small cardboard box. Placing these for your kitties to play in can maximize how many fish you're attracting at once, and the more fish you have, the better items you can put out. Splurge on the good cat food to earn more cats. You're not going to amass much of a kitty menagerie using the cheap Thrifty Bitz. What you need to do is spend more money on food to attract your little feline friends. 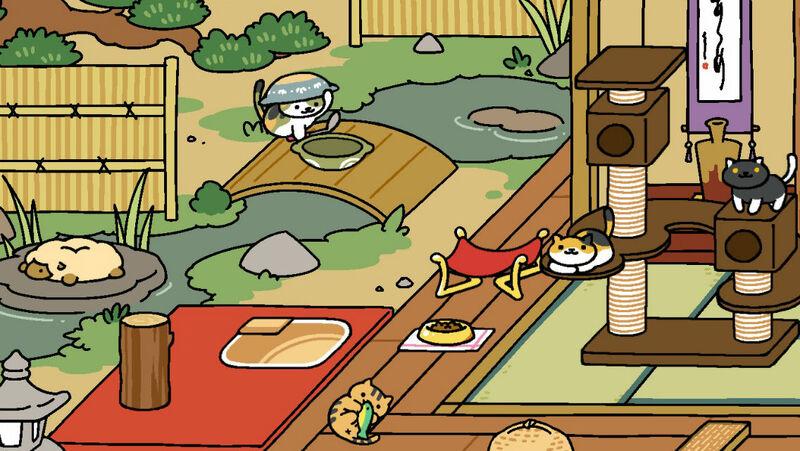 Spending the big bucks on the good stuff will make sure your yard overflows with kitties, and that means you'll be rolling in the fish to accommodate more cats as the game wears on. If you don't have a lot of money to buy the better food, compensate by putting out cool toys for the cats to play with. You should still see cats coming through even if you're feeding them the cat equivalent of McDonald's.